The Librarians here at Prairie State College know that when you’re balancing classes, work, family and friends you don’t always have time to come and browse the stacks for something new to read. So we decided to bring the browsing to you! In this blog we will keep you updated on new books that come in to the library, share our own favorites, provide seasonal reading suggestions, and introduce you to some titles you might not otherwise have found. We’ll try to cover a wide range of subjects and genres, but if you have any requests, please let us know. All students, staff, faculty, and community members are welcome to comment and make book suggestions on any of our posts. We’d love to hear about your favorite books, a brand new title in your subject area, or any particularly interesting reviews you’ve read. 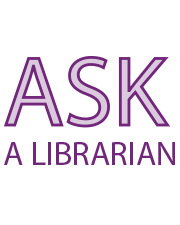 The Librarians will be moderating all comments, so if you don’t see yours posted immediately, don’t worry! We just haven’t had time to read it yet. We encourage lively debate, but ask that all commenters be respectful and refrain from hateful, threatening, or obscene language. Just so you know, the content in this blog is intended for informational and entertainment purposes only. The ideas and opinions herein are of the Librarian writing each post, and may not reflect the views of Prairie State College.